To install DVT using the update site you must first make sure the Eclipse and Java versions are up to date. You must use Eclipse 4.4 or newer. 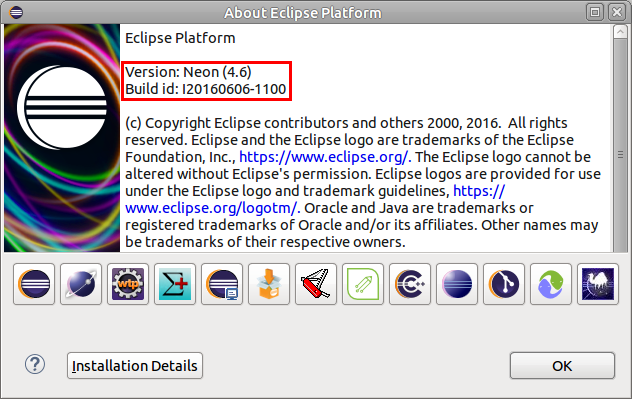 To check the Eclipse version use menu Help > About Eclipse Platform. In the snapshot the Eclipse version is 4.6. You must use Java 1.8 or newer. To check the Java version use menu Help > About Eclipse Platform, then click on Configuration Details and select Configuration tab. In the configuration look for java.runtime.version property. To check that the DVT plugin is installed use menu Help > About Eclipse Platform. You should see the DVT button. To see more details, for example the version, click the button.